News out of central Michigan suggests that corporate donors are increasingly bullish on what the New York Times' Thomas Friedman calls a philanthropy-fueled "education-to-work-to-life-long-skill-building pipeline." The Dow Chemical Company, the University of Michigan (U-M) and Delta College recently announced a collaboration to develop an "interdisciplinary innovation and education hub to inspire the workforce of tomorrow and create sustainable pathways that will have a positive impact on the environment and society." With an emphasis on STEM education, the collaboration, according to Jim Fitterling, CEO-elect of Dow, "will empower teachers and students to develop sustainable solutions to address local, regional and global challenges, while cultivating a robust manufacturing workforce pipeline—efforts that build on our commitment to the Great Lakes Bay Region." 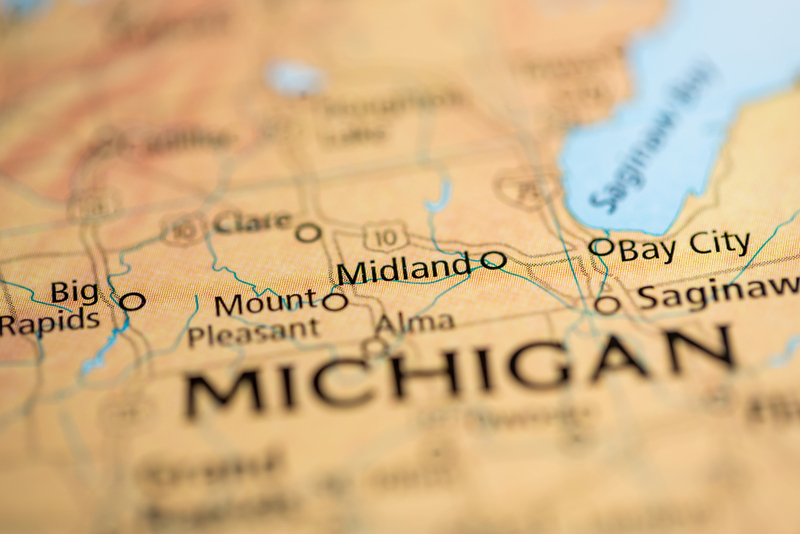 Construction of a new Delta campus building in downtown Midland, Michigan, will be funded over a three-year period by grants from the Dow Chemical Company Foundation ($4 million) and the Dow Corning Foundation ($2 million). Dow and U-M also announced the launch of the Andrew N. Liveris Innovation Institute to provide Midland area teachers with an immersive learning environment of focused programming in the areas of advanced manufacturing, sustainable innovation, and global citizenship. The Dow Chemical Company Foundation will provide funding in the amount of $1.5 million to U-M over a three-year period toward staffing and programming in support of the institute’s mission. The announcement encapsulates some of the more promising trends percolating across a region of the country—frequently called "flyover country"—that has, relatively speaking, received meager support from national funders. First, it's another example of regional corporations upskilling regional workers as a bulwark against future labor shortages. The fact that Dow's work here focuses on "cultivating a robust manufacturing workforce pipeline" is a bonus for Rust Belt communities that have been hollowed out by globalization and automation. It also suggests that although the automation genie is out of the bottle—indeed, other funders have expressed deep concern about the long-term effects of mass automation, AI, and robotics—corporate executives on the front lines still envision real, live humans playing an integral role in the next-generation manufacturing supply chain. And by embracing STEM education, Dow—a chemical company, mind you—reminds us that these skills aren't relegated only to high-tech industries. Indeed, Dow's announcement came around the same time that the Exelon Foundation, the giving arm of Chicago-based energy firm Exelon Corporation, partnered with the U.N. Women HeForShe initiative to launch the inaugural STEM Innovation Leadership Academy. Lastly, the Dow-funded partnership seeks to drive economic development across central Michigan. "The combined $6 million total gift is the largest ever made from the private sector to Delta and will truly make a difference to the economic growth of our area and in the lives of local citizens," said Dr. Jean Goodnow, Delta College president. Building the "Workforce of Tomorrow"
The announcement neatly aligns with the Dow Chemical Company Foundation's philanthropic brand. As previously noted, its two main funding priorities are higher education and K-12 STEM education. In addition, it frequently partners with other organizations and corporations to build the "workforce of tomorrow" and link STEM education to job training, teacher training, partnerships with higher education institutions, and science competitions. For example, Dow partnered with Siemens and Alcoa to study "best apprenticeship practices in Germany and other countries in Europe in support of a new U.S. model." These types of partnerships bring me back to Thomas Friedman's thoughts regarding how philanthropy can shape the "workforce of tomorrow." Writing in the New York Times, Friedman said, "The societal units protecting workers best are our healthy communities—where local businesses, philanthropies, the public school system and universities, and local government come together to support a permanent education-to-work-to-life-long-skill-building pipeline." Recent evidence suggests that universities, in particular, stand to benefit a great deal from this model. The Dow announcement comes at a time when alumni donors have been giving big to support entrepreneurial-related initiatives at regional schools. For instance, the Keenan Family Foundation announced a $17 million commitment to Ohio State to plug students into central Ohio's burgeoning startup ecosystem. The appeal here to entrepreneurial-inclined alumni and corporate donors is pretty obvious: Universities provide critical human capital and technological infrastructure to complement workforce training and economic development efforts. As a result—to quote Friedman again—business like Dow, Exelon, and other non-tech firms far from coastal enclaves "signal to schools and colleges, in real time, the skills they need to thrive in the global economy, and philanthropies fund innovative programs for supplemental education and training." It's a compelling model, and thanks to strong economic indicators, the ongoing regional philanthropy boom, and corporate giving arms driven by enlightened self-interest, I suspect we'll be seeing more of it in the future. In related news, check out our take on the Lilly Endowment's $38.9 million grant to the Northwest Central Indiana Community Partnership to assist the Wabash Heartland Innovation Network in developing a plan to foster a prosperous economic ecosystem in 10 counties in northwest Indiana.